Really unique for a bathmat and loving the texture of it! Give a stylish touch to your bathroom with this unique and bright bathmat. 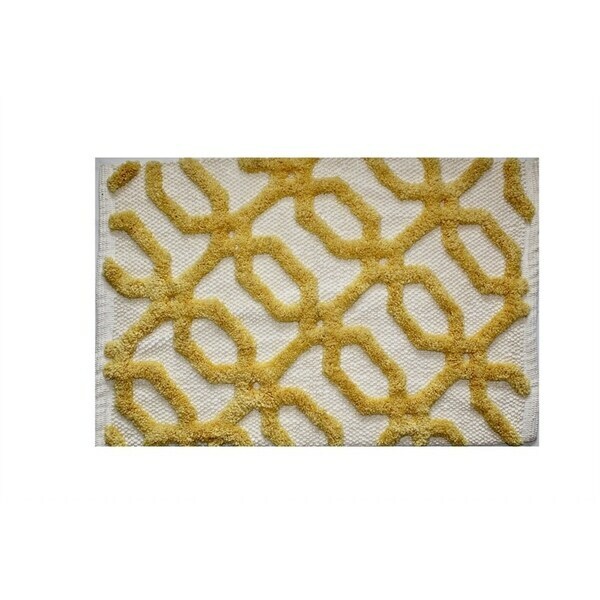 Designed with a flat off-white colored base and a popping yellow pattern, this bathmat is the perfect new addition to brighten up your bathroom space. Made from the finest polyester and cotton woven base, it is just what you need to walk on after your relaxing shower or long day on your feet. The variety of designs from this collection are endless, and we dare you find something you won't love. This product is washable and fade resistant. Available in 20"x32" sizes. The images we display are the most accurate representation of the color of the product possible. However, due to differences in computer monitors, we are not responsible for differences in color between the actual product and your screen.